Jessica has been working with Champaign Chiropractic Clinic since 2006. She grew up in Korea and moved to Champaign with her family. She is a mother of three beautiful children and they like to play sports together. She likes to try different restaurants around the Champaign-Urbana area thanks to the diversity of the city. Since she is bilingual in English and Korean, she is willing to help people in many ways at the clinic for those who need to be assisted in Korean. Sarah joined our team in December of 2016 and is now our Clinic Assistant Manager. Her duties include managing patient’s schedules, charges, insurance verifications, and all other front desk responsibilities. 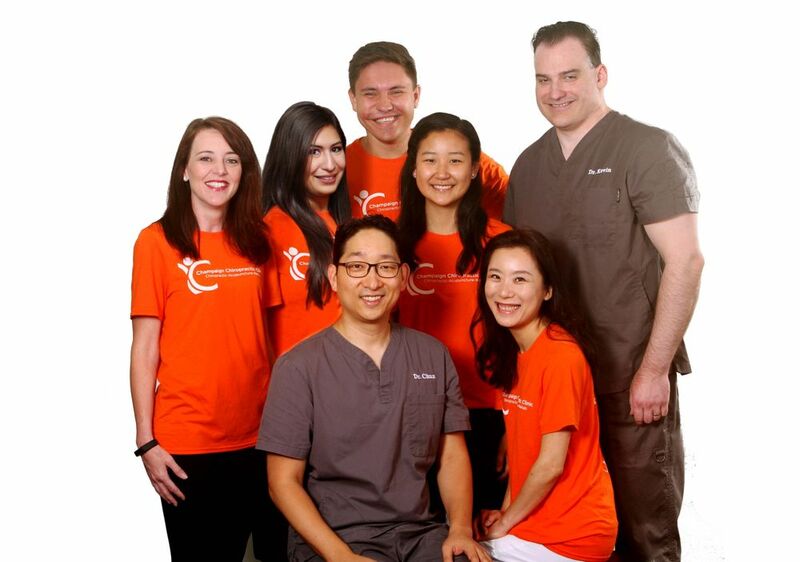 Her bright smile and infectious laugh creates a warm and welcoming environment in the clinic. It was her desire to help others that lead her to pursue a degree in Healthcare Administration. She was born and raised in Michigan and moved to Champaign in the summer of 2015 with her husband. In her free time she enjoys working out, learning about health and nutrition, and playing with her cat. After receiving his bachelor’s degree in Kinesiology from the University of Illinois, Oleg joined our team as a clinic assistant on May, 2017. Oleg’s charismatic approach to the job insures the patient’s ability to achieve their goals. His main duties include helping the patients with tractions and therapeutic exercises in a safe and efficient manner. For Oleg patient interaction is not just another skill but it is a gifted talent. His hobbies include reading the news and hiking. His super power is that he’s trilingual! So with a slight accent and a great sense of humor, Oleg’s personality brings a smile on everyone’s face.